Nicholas Platt was a distinguished American diplomat, who served as ambassador to Zambia, the Philippines, and Pakistan. 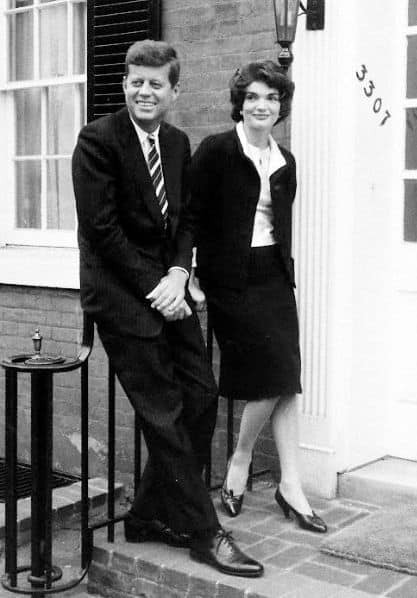 In the first days of the Kennedy administration, however, Platt was a young Foreign Service Officer in Washington studying Chinese language — when he and his wife were unexpectedly invited to join the president for a small party at the Georgetown home of columnist Joseph Alsop. Nick and Sheila Platt were friends of Joseph Alsop through Sheila’s mother. Their invitation to dinner included a request that they provide musical entertainment. Nick brought his guitar and the two performed folks songs popular in that era to an audience that included Attorney General Robert Kennedy, the British ambassador, and other Washington notables. A vignette from a decidedly different era. Nick Platt’s career also included important service in the administration of Richard Nixon, whom JFK had just defeated in the hard-fought 1960 election. Platt was one of the self-described “China Boys”—U.S. 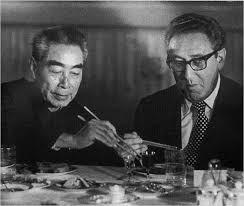 government officials who helped Nixon and Henry Kissinger open the door to China in the 1970s. A terrible flood struck Bangladesh in 1988, killing over 6,000 people, destroying millions of tons of crops and causing millions of dollars in damages. This was not Bangladesh’s first flooding disaster, nor its last. As recently as 2017, floods left an estimated one-third of the country under water. The problem of flooding in Bangladeshis age-old; so is the debate about what to do about it. During the 1988 G-7 Summit, France — with prompting from President Mitterand’s wife Danielle — urged concerted action to help Bangladesh develop better measures to prevent and control flooding. John D. Pielemeier was USAID’s Director for the Office of South Asia at the time of the disaster, and represented the United States the ensuing multi-donor effort to address the problem. Differences quickly emerged, however, between those who leaned heavily on flood control measures — like dikes and canals — and those who advocated “adaptive” measures to disperse inevitable floods more effectively and cope better with the consequences. The debate continues today. Pielemier supported the implementation of adaptive measures because he believed preventive flood-control measures could not stop the destructive force of the periodic deluges, but would ultimately amplify the damages. Pielemeier recognized that periodic flooding was part of the natural environmental cycle in Bangladesh, and necessary to support the country’s agriculture. When the Brahmaputra River flooded in 1988, Pielemeier had worked for USAID for nearly 25 years. He had previously served in Brazil, Africa and South Asia. Louise Keeley waited and worried in neighboring countries when her husband, American diplomat Robert V. “Bob” Keeley, faced the encircling Khmer Rouge in Cambodia and the depredations of Idi Amin in Uganda. Waiting for news of a spouse on a dangerous diplomatic assignment can be more stressful than the assignment itself. And when U.S. family members are evacuated to neighboring posts, they have not always received the support they needed. Louise Keeley’s candid oral history captures the pride, dedication and resolve of diplomats and their spouses in two of the most harrowing crises of the 1970s. 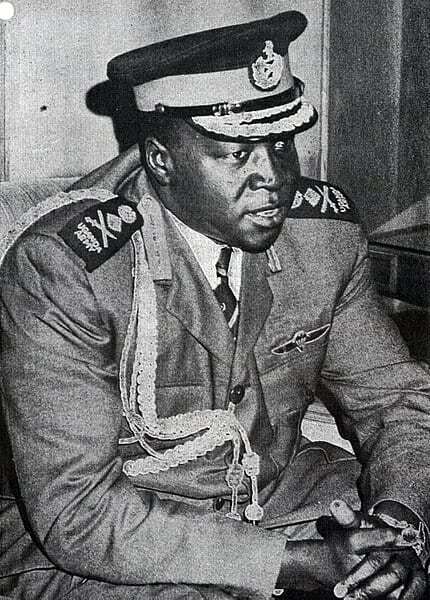 Idi Amin Dada, who styled himself “His Excellency President for Life, Field Marshal Alhaji Dr. Idi Amin Dada, VC, DSO, MC, CBE,” ruled Uganda as a dictator from 1971-79 after taking power in a military coup. His administration was characterized by brutal state killings of ethnic minorities and political dissidents, corruption, and nepotism. As the situation worsened, American personnel including Louise Keeley were evacuated to neighboring Kenya. The U.S. Embassy in Kampala closed completely on November 10, 1973, when interim Chargé d’Affaires Bob Keeley shut the doors and flew off—in a tuxedo—to attend Embassy Nairobi’s Marine Ball. A mere two years later, the Khmer Rouge, the Cambodian communist guerrilla group, toppled the pro-American government in Phnom Penh. Bob and Louise Keeley were again on the scene in the chaotic weeks leading to the fall of the Cambodian capital in 1975. Once in power, the Khmer Rouge proceeded with violent attempts at social engineering and widespread state-sanctioned murder. Under Khmer Rouge leader Pol Pot, nearly 25 percent of Cambodia’s population was killed in what is now known as the Cambodian Genocide. To this day, Cambodians still find human bones from Khmer Rouge massacres as they till their fields. Louise Keeley and other American Embassy staff and family members left first, for refuge in nearby Bangkok. Deputy Chief of Mission Bob Keeley and Ambassador John Dean were evacuated on April 12, 1975 in Operation Eagle Pull, a mere five days before the city fell to the Khmer Rouge’s onslaught. Long before he was President Reagan’s Secretary of Defense, Frank Carlucci was a young State Department political officer in Kinshasa, Congo (then known as Leopoldville). He got to know Prime Minister Patrice Lumumba and was among the last Americans to see him alive before Lumumba’s 1961 murder. 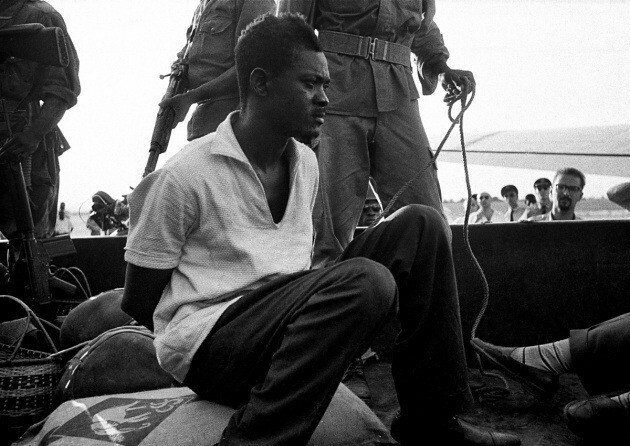 Multiple theories surround Lumumba’s death, which remains controversial to this day. In his oral history, Carlucci does not provide exact details on the assassination. But he offers fascinating vignettes of the embattled Congolese politician in his final days. He also describes the chaos that followed Congo’s abrupt independence, including his house arrest by the breakaway government of Katanga Province and an armed standoff at Leopoldville’s airport when Lumumba was attempting to fly to Stanleyville (Kisangani). Lumumba, the first prime minister of independent Congo, was a prominent leader in the nationalist movement that achieved independence in 1960. Within eleven days of independence, Katanga, a southern province rich in mining resources, seceded from Congo. Lumumba called on the international community to help him regain control of the country, accepting help from anyone who would provide it, including the Soviet Union. At the height of the Cold War, this put him squarely at odds with the United States and other western powers. Lumumba was assassinated in January 1961 under suspect circumstances. Carlucci went on to a distinguished career in government, including service as Ambassador to Portugal and National Security Adviser. He retired after two serving as Secretary of Defense under President Ronald Reagan. For a young lieutenant to challenge the number two man in the Department of Defense over Vietnam policy in 1969 took guts. The ensuring argument pitted R. James Woolsey, still in his 20s and later to become Director of the Central Intelligence Agency, against Paul Nitze, Deputy Secretary of Defense and pillar of the U.S. foreign policy establishment. Woolsey, fresh from Yale Law School, was in the Army, working “figuring out criteria for designing reconnaissance satellites” in the Office of the Secretary of Defense. Nitze was ending his tenure as a senior official in the Johnson administration. Nitze concluded that Woolsey “didn’t know what the hell he was talking about,” but didn’t hold a grudge. When the Nixon administration brought Nitze back for the Strategic Arms Limitations Treaty (SALT) talks, Nitze chose Woolsey to be on this team. Woolsey would go on to serve as Under Secretary of Navy under President Carter and Director of the CIA under President Clinton. (Nitze’s career was equally distinguished. He served as Secretary of the Navy and Director of Policy Planning at the State Department. He also co-founded Johns Hopkins’ School of Advanced International Studies, now named in his honor.) Woolsey’s interview was conducted by Charles Stuart Kennedy on April 24, 2013. Lucke remained in Haiti for three backbreaking months, joining forces with the UN, a Disaster Assistance Response Team (DART) from USAID, a multitude of NGOs, and thousands of volunteers. He found Haiti’s capital, Port-au-Prince, almost completely destroyed. 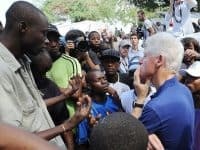 “The Presidential palace was a beautiful building,” he recalled, “but most of it was now collapsed and had to be bulldozed away as rubble.” Another major blow was the destruction of the headquarters of the United Nations Stabilization Mission in Haiti, killing the Mission’s chief and 95 other UN personnel. This severely handicapped the UN’s capacity for emergency response. Lucke had previously served as USAID Mission Director in Haiti, and was an obvious choice to coordinate the agency’s response to the earthquake. When the call came to return to Haiti, Lucke was preparing to return after an illustrious career that had taken him to Mali, Senegal, Costa Rica, Bolivia, Jordan, Haiti, Iraq after the Second Gulf War, and an Ambassadorship in Swaziland. The fall of the Berlin Wall in 1989 ushered in a fraught time in the lives of East and West Germany — and the American diplomats posted there. U.S. diplomat Donald Bandler and his wife Jane found a novel way to reach out to East German diplomats in Bonn adjusting to the new order: the game of tennis. Bandler, later our ambassador to Cyprus, was posted to West Germany when the wall fell. During the long Cold War, East German and American diplomats rarely socialized in Bonn, and then only on formal occasions. The Bandlers broke the ice by inviting East Germans to friendly matches on the U.S. Embassy tennis courts. The East Germans reciprocated with invitation to tennis and well-lubricated socializing deep in Weimar (still a part of East Germany). Bandler woke up with a headache — and deeper ties to important colleagues during a time of political upheaval. Bandler’s tour in Germany was followed by several prestigious posts. He served as the Deputy Chief of Mission in Paris, France, then as the Special Assistant to the President for Canadian and European Affairs. He finished his career as the U.S. Ambassador to Cyprus. Donald and Jane Bandler were interviewed by Charles Stuart Kennedy and David Reuther, beginning February 23, 2003. Francisco Franco’s death in 1975 opened the path for newly-throned King Juan Carlos to become Spain’s head of state. His first independent action was to fire Prime Minister Carlos Arias Navarro. 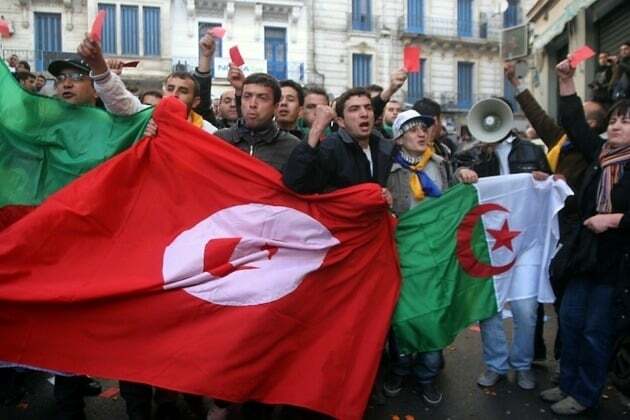 This came as a shock to citizens, diplomats, and Spanish government officials. 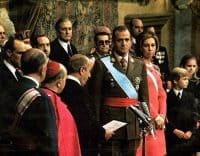 Because the Juan Carlos had outwardly supported the Franco regime, while privately meeting with liberal leaders, Spaniards had little idea of his core beliefs or how he would govern. Foreign service officer Steven Wagenseil was posted in Madrid during this tumultuous period. He discusses the activity and chaos that followed the new king’s dismissal of the prime minister through the lens of the embassy’s Fourth of July party. Wagenseil watched as Spanish government administrators attempted to position themselves well with higher-ranked officials and moved about the party wondering what would result from the king’s hasty and controversial action. Wagenseil’s service as a political officer in Spain was one of his first positions; he was later the Deputy Chief of Mission in Lesotho followed by a position as the Consul General in Strasbourg. Steven Wagenseil was interviewed by Peter Eicher, beginning on January 15, 2008. 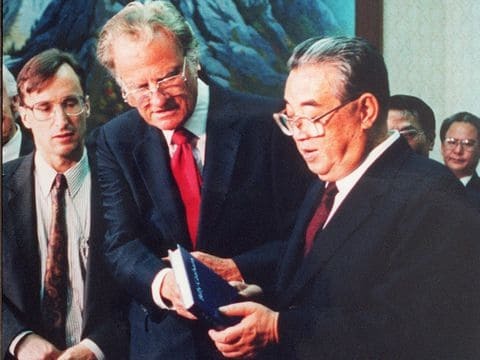 Reverend Billy Graham visited the Democratic People’s Republic of Korea (DPRK) in 1992. The evangelist met with the Supreme Leader Kim Il-Sung and was permitted to preach the Christian Gospel in the officially atheist hermit kingdom. The visit led to a brief opening, including charity work by Christian non-governmental organizations. Graham was accompanied by Dr. Stephen Linton, professor of Korean Studies at Columbia University. A State Department officer on detail to the Pentagon reached out to Linton after the Graham visit and picked up useful advice on how to communicate with North Korea. Linda Schmitt Gallini was the first from the State Department to contact Dr. Linton after his visit to North Korea with Graham. She learned many lessons from Linton, and used them in internal State Department deliberations. A key takeaway: the Department needed a better understanding of North Korean communications culture. And a key example: a letter from the Clinton administration to Kim Il-Sung on nuclear issues reportedly backfired because of inartful drafting.